Golf grips are easy to care for with just a few simple steps. 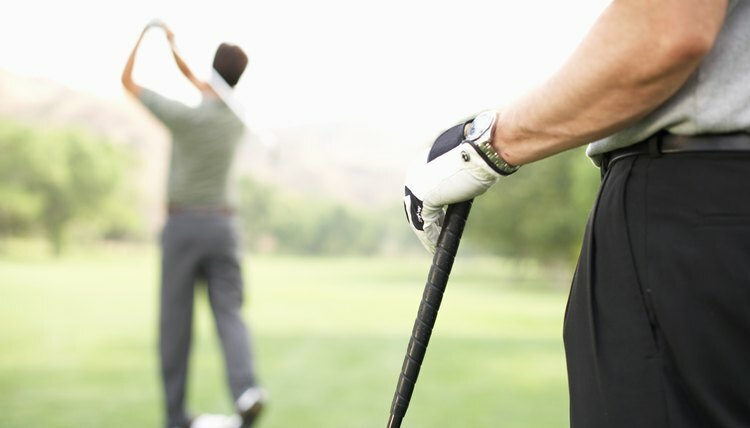 Grips are one of the most essential parts of your golf clubs. An old or extremely dirty grip can cause you to lose your feel for the club and hit poor shots. Taking time to periodically clean your golf grips can extend their life and ensure your equipment is ready to help you achieve the lowest score possible. You can clean most golf grips with standard household cleaning supplies and will not need to make a special trip or purchase. Spray a small amount of liquid dishwashing soap in your cleaning bucket and fill with warm water. Rub the soap suds into each of your golf grips with one of the towels. Rinse each grip with cool water. You can use an outside garden hose or your kitchen sink to rinse the clubs. Dry each club grip with the dry towel. Ensure you rub the grip to help get excess grime off. Place your clubs back in your golf bag after the grips are fully dried. What Is the Best Way to Clean Your Golf Club Grips?